Manchester United Vs Liverpool - 2 Points Dropped or a Point Gained? Much was expected from this afternoon’s clash at Old Trafford but the encounter didn’t live up expectations as we were treated to a 0-0. Chances were a few and the first half even showed more substitutions than shots on target. 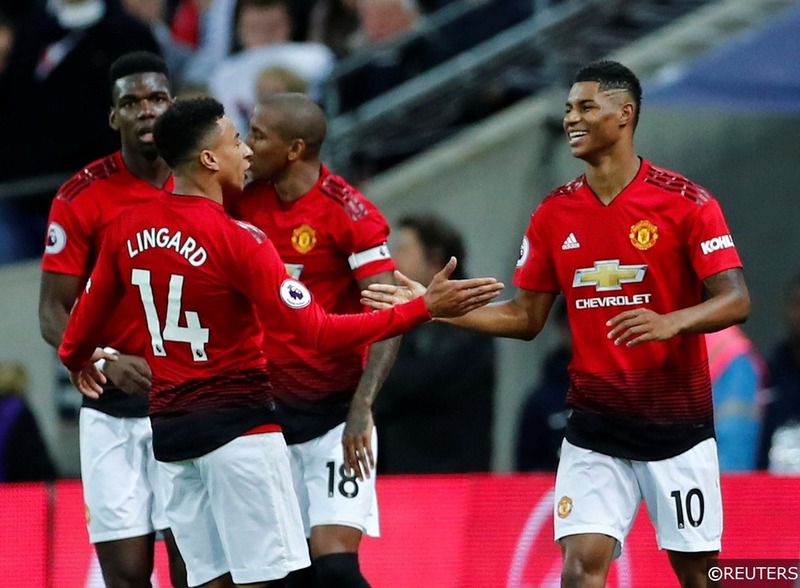 United were forced into making changes pre-match with Martial and Lingard missing from Solskjaers favoured line up and faced a Liverpool team close to full capacity. The injury woes did not stop here as Mata, Herrera and the already injured Lingard were forced off the pitch within the first 40 minutes. From this point on most people would have expected Liverpool to push on and punish this weakened United team but this wasn’t the case. United fought with passion, encapsulated by Rashford, who was injured in his first challenge with Jordan Henderson, but kept running right until the final whistle. Salah and Mane didn’t produce performances we know they’re capable of and their man for the big occasion, Bobby Firmino joined the United trio on the injury bed. This heart from United kept Liverpool at bay and it is difficult to remember a time that De Gea had to make a save in the United goal. With the spoils shared, the big question is, is this 2 points dropped or a point gained for both these sides with differing aspirations for the remainder of the season? Liverpool have returned to the top of the Premier League, just one point ahead of the chasing Manchester City whereas United drop outside of the top 4 after Arsenal eased past Southampton this afternoon. Liverpool’s title hopes are very much still alive as they return to the top of the Premier League now having played the same amount of games as Manchester City. It was mentioned in the commentary that Klopp would have been happy with a point pre-match but following the circumstances of the game, I’m sure he will feel this is 2 points dropped. Nevertheless, they came away from Old Trafford with a point and this will be a boost ahead of their slightly easier fixtures in the coming weeks. Watford, Everton and Burnley are waiting in the next 3 and Liverpool have only got 2 of the top 6 still to play, both at Anfield. Liverpool’s Champions League performance midweek was solid and gives them a platform to get a result in Munich, especially given that Bayern don’t have an away goal to take home. A positive result in this fixture will I’m sure prove a massive boost to their title hopes. If they can go to the Allianz and produce a performance they will believe they can do it anywhere. Still with only 1 league defeat this season, Liverpool have dropped behind Manchester City as favourites for the title. You can find them at 13/8 with bet365 to lift their first Premier League title and if you feel they are good enough to go all the way in the Champions League can be found at 12/1. With the result at Old Trafford, today City are now favourites again to lift the Premier League trophy. With City now just one point behind leaders Liverpool their experience in getting over the line may come in crucial. Following Sundays Caraboa Cup Victory over Chelsea, City are provided with an even bigger boost as bringing trophies home has never hurt anyone’s confidence. City face the same test Liverpool did today and the season-defining moment could come in April once they have visited Old Trafford. The visit to United and the visit of Spurs are the two major tests that stand in front of City as they face a similar run in to Liverpool. Successful results in the cups and Europe could prove vital for City as they keep winning games. Playing how they are it’s difficult to see anybody stopping them. They are now 2/5 with BetVictor to lift the title and as short as 11/4 to lift the Champions League, exciting if you’re a City fan! United injuries today look troubling but the overall spirit around the game looked positive for the Old Trafford Faithful. Today’s result did see them drop outside of the top 4 but with visits to the Emirates and the arrival of Chelsea there are many more important points to be had. United look to be able to focus all attention on the League or FA Cup as they have been faced with overturning a 2-0 deficit away to the French Champions, a tough task for any side. Comparing this to Arsenal and Chelsea who both have European football to contend with, this could be a blessing as this Manchester United team don’t look good enough yet to fully challenge for the Champions League. United’s worry is injuries. Mata, Herrera and Lingard added to the already injured Martial and Matic provide a real headache for Solskjaer as they look to press for that top 4. The Norwegian will be hoping he can get his important men back from injury as soon as possible. As United look towards the top 4 they are currently 6/5 with William Hill for a top 4 finish. United and Chelsea can’t be separated with the same bookmakers offering 6/5 on Chelsea to claim a Champions League spot too. Arsenal look to be less favoured at 2/1 with Paddy Power to be in next seasons elite competition. You can also read our Premier League predictions here! Let us know who you think will clinch the title and claim that top 4 position. Read our Premier League review and let us know on twitter your thoughts. Categories: Blog and Football. Tags: Champions League, Injuries, Liverpool, Liverpool vs Manchester United, Manchester City, manchester united, Marcus Rashford, Old Trafford, Premier League Title Race, and top 4. Team Tag: arsenal, burnley, Chelsea, Everton, Liverpool, manchester city, manchester united, spurs, and watford. League: England Premier League. Sports: Football.